The largest sewing space* and the long free-arm makes sewing any size project effortless. Discover how the difference is in the details! The PFAFF® ambition essential™ can take your sewing projects to a whole new level. How far will you take your ideas? * IDT™ System (Integrated Dual Feed) – Absolutely even fabric feed from both the top and bottom. seams with any stitch on any fabric. • Alphabets – Choose from two different font styles: Block and Cyrillic letters. • One- Step buttonhole – Snap on the buttonhole foot and sew repeatable buttonholes smoothly. * PFAFF® design – Built to make sewing easy and to achieve the professional results that sewers want. • Two LED light sources – Optimized bright lights illuminate your sewing area without shadows. • External feed dog drop – Lower the feed dogs for stippling, free-motion work or darning. placed easily under the presser foot. can be set to make the threads evenly meet between the two layers of fabric. automatically at the end of a seam for a quick and easy finish. • 29 needle positions – Perfect for topstitching, quilting, inserting zippers and more. • Mirror image – Flip the stitch from side to side for more creative possibilities. 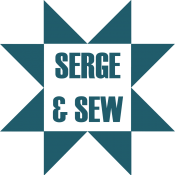 • Sequencing – Combine and save up to 30 stitches and/or letters in the sequence memory. • Integrated needle threader – Makes threading the needle fast and easy. • Stitch plate – Markings to the left and right of needle helps you guide your fabric. • Snap-on/Snap-off presser feet – Changing is easy – no screws or other tools are needed. • Top loaded bobbin – Easy to access. • Electronic needle piercing power – Full piercing power at any speed with total control. • Hard cover – Protect your sewing machine when transporting it, and keep it dust free. • Two spool pins – For twin needle sewing or specialty sewing. • Accessory tray – To keep all your sewing needs at your fingertips. 3 Blindhem foot with IDT™, 4 Zipper foot with IDT™, One-Step Buttonhole foot. Create more whimsical details with the PFAFF® world of accessories. PFAFF® ambition™ line sewing machines have a whole range of accessories with which you can achieve more professional results and create more imaginative effects. Unlock a new world of inspiration with a specialized presser foot or accessory. It's good when a brand has been around a long time. It's even better when it doesn't show its age. There are many reasons behind the success of a brand like Pfaff. It's a brand with over 140 years of development behind it and a consistent presence in the marketplace. It has a special air of familiarity, security and reliable quality. Today's world overloads all of our senses. It reflects the spirit of the times. How do people live their lives, what did they think yesterday, what will they do tomorrow? What's in and what's out, and most important of all: what do people want? Pfaff sewing machines are part of this world, because there is one thing that never goes out of style: The search for individuality. Welcome to the world of Pfaff.